(NaturalNews) The following compilation describes a long list of the most valuable foods on the planet, which were sought by kings of ancient civilizations. Olive oil was used to anoint kings; chia seeds were used as an energy source by Aztec warriors, and only the emperors of ancient China's Ming Dynasty were allowed to eat of the "forbidden rice" (black rice). The Romans fed their gladiators barley. And the "New World" discovery of America by Europeans was nothing more than an attempt to find a new path to the spices of India. Little did Columbus and his crews know that the Native Americans already figured out natural remedies long, long before that. These ancient cultures traded too. Question: Do you really "eat healthy" or do you just think that you do? How much do you really know about what the ancient kings knew back then, that you could be making your very own staple diet? It doesn't really matter if you "think" you eat healthy, if you don't. You can eat salad every day, but if that salad has been sprayed with pesticides and watered and washed with fluoridated water, it's more than useless to your body -- it's downright damaging. And you can eat your "apple a day" to keep the doctor away, but the doctor's office is exactly where you will go if that apple, along with all your other fruit, is doused with pesticides. Plus, many of the herbs and tinctures used for several millennia aren't even for sale in typical grocery stores, nor are they served up in commonplace, franchises and corporate-owned and -run restaurants. No wonder so many million people have compromised immune systems and allergies to so many foods, medicines and skin care products! Your "average" diet (or lack thereof) is usually chock-full of GMOs and cooked, processed foods. These foods are grown in soil that is VOID of nutrients, and that means that the foods are lacking in nutrition, if not completely devoid of any. Nutrition needs to be absorbable by the human body, so your billions of enzymes can "turn on" and do their job protecting you. It's time to TURN ON your enzymes with the foods of the ancient kings. The Roman Kings: Herbs, garlic, rosemary, thyme, basil and cucumbers were basic Roman staple. Some of these they imported from Asia and Africa. Their beets, cumin and mustard came from Mesopotamia. Chinese Emperors: Invaluable crops like cabbage, peas and beans were grown in China. Recent archaeological finds include Chinese culinary cultures using bronze for cooking utensils and tableware from as far back as 1600 BC during the Shang Dynasty. During the Western Zhou Dynasty, more than 2,000 staff of the imperial palace prepared these foods for the emperor and his family. Historians believe that the Shang people mastered steaming and stir frying 3,000 years ago. Egyptian Pharaohs: Fresh apples, apricots, cherries, grapes, figs, dates, melons, pomegranates, pears, and plums were consumed in Egypt, Greece, Mesopotamia, Rome and China. The Aztecs: Their diet included corn, avocados, tomatoes, squash, beans and peppers. Chocolate was reserved for warriors and nobility. 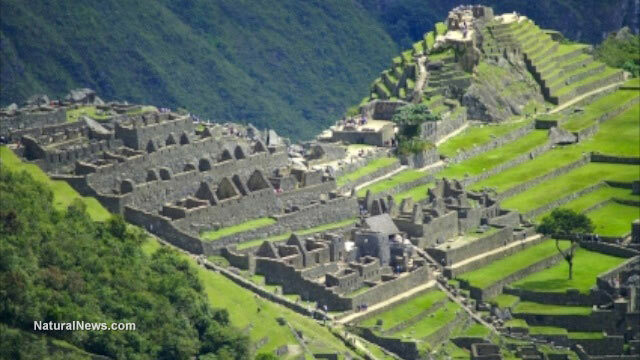 Incan Royalty: The food of Incan royalty was similar to the Aztecs but also included quinoa, mushrooms and exotic fruits. First, start off with some medicinal mushrooms like chaga, reishi and lion's mane. Plus, build immunity with bioavailable supplements. Then check out parsley root tonics, herbal teas, marine phytoplankton, the world's cleanest chlorella, spirulina, raw and organic turmeric, raw and organic coconut oil, probiotics, digestive enzymes, diatomaceous earth, vitamin D3, the "good" kind of calcium, goji, acai and noni berries, maca powder, and of course mucuna (legume) powder (helps smokers quit smoking naturally). So don't get caught up in your "average" diet. Eat superfoods and fill your days with energy, vitality, intelligence, creativity and immunity. Be smart. Read the labels on everything that you eat, drink and put on your skin. Herbs, tinctures and root tonics have been around Earth forever, but most Americans don't even try them because they've never known where to find quality nutrition.